Mizuho Hayakawa, Director, Japan Information Centre, Embassy of Japan discusses the various aspects of studying Japan with Abhay Anand of Careers360. She emphasizes on the need of Japanese language requirement by the Japanese companies in hiring international students. She also speaks about the Japan Exchange and Teaching Programme (JET). Q. 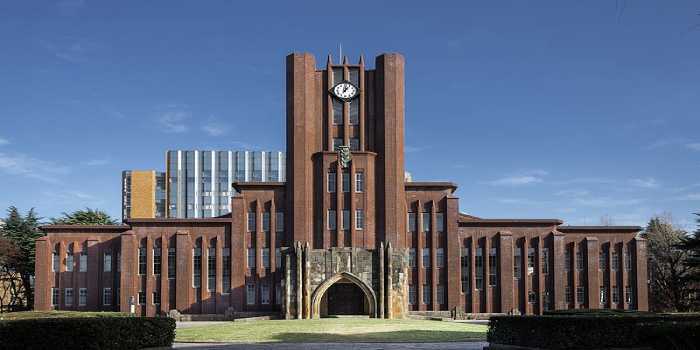 A large number of Japanese universities are among the top 100 globally; what is the reason, according to you? A. It would be because of accumulation of research works from decade to decade. And Japanese University’s research-oriented characteristics can help in that. However, we understand that Japanese universities lack internationalization and we have much more scope to be international. Now, Japanese universities are very eager to conduct international collaborative research and to accept bright students from abroad. We believe this would be a way to increase the presence of Japanese universities in the global university rankings. And we also believe that Indian youngsters can contribute significantly to such Japanese universities by joining them. Q. What kind of job opportunities are there for foreign students in Japan? A. Nowadays, Japanese companies have started to accept foreign students in Japan proactively, since most of the companies are doing their business abroad and a big portion of their benefit comes from abroad. So, if they wish, foreign students could look for job opportunities in Japan. But, in order to attain a good job opening, they have to consider the following two points: One is, to catch up with information regarding recruitment. University students are expected to collect information about each company along with their study/research. Using various resources, including the student support office at University and Recruitment agency, they should keep up with the latest information. Another is Japanese language skills. Once they join a Japanese company, they are expected to be representatives of Japan; meanwhile, they should demonstrate Japanese values, they should understand Japanese working culture and ethics, and so on. To do so, learning the Japanese language is the most efficient and effective way. Along with that, once you look into the domestic situation, most of the companies and customers prefer to use the Japanese language in their business dealings. Therefore, if you would like to join a Japanese company after completing studies in Japan, you should keep learning Japanese. Q. What types of scholarships are available for Indian students? A. One of the most popular scholarships that we offer is the MEXT scholarship. For UG students applying under the programme, the selection procedure will include written examination followed by an interview. Examinations for Humanities/Social Science stream include Japanese as Foreign Language, English, and Mathematics. Also, examination of Natural Science and Engineering stream will have Japanese as Foreign Language, English, Mathematics, Chemistry and Physics/Biology (depending on their field of study). In case of PG students, a preliminary selection will be conducted based on their research proposal. If they clear the preliminary round, a written examination will be held in Japanese as Foreign Language and English, followed by an interview. Q. What are the eligibility criteria for admission to Master’s level programmes? A. Students with Bachelor level degree can apply for Master’s course. Along with that, since PG course in Japan is research-oriented, even in Master’s course, they are requested to make sufficient research proposal. They are also expected to identify their possible supervisor based on their research interest. Q. What skills are you looking for while accepting students/working people in the JET Programme in Japan? A. The Japan Exchange and Teaching Programme (JET) seeks to enhance internationalization in Japan by promoting mutual understanding between the people of Japan and those of other nations. The JET Programme is implemented by local authorities and other organisations who appoint participants in cooperation with the Ministry of Internal Affairs and Communications (MIC), the Ministry of Foreign Affairs (MOFA), the Ministry of Education, Culture, Sports, Science and Technology (MEXT), and the Council of Local Authorities for International Relations (CLAIR), Japan. Under the current JET Programme 2018, it wishes to recruit 2 (two) Coordinator for International Relations (CIRs) from India. The selected candidates will be involved in internationalization activities and will be placed in international exchange departments or bureaus in local authorities. One of the CIRs will be placed in Matsue City, Shimane Prefecture, and will be especially engaged in the promotion of friendly exchanges between Matsue City and the State of Kerala. (Applicants must be either from Kerala or have lived/ been living in Kerala.) The other CIR will be placed in Okuizumo Town, Shimane Prefecture. We would like to emphasize that, the skills we are seeking for CIR applicants is not only a good language ability of English and Japanese, but also the skills to enjoy living and working in a country which has different culture from their own, and willingness to be a representative of India and promote mutual understanding at the grass-root level. Q. What are the eligibility criteria for admission to the 2018 JET Programme? A. The basic eligibility criteria for the CIR Applicants is that the applicants must be an Indian having Bachelor’s degree or higher (by the designated departure date to Japan), be both mentally and physically healthy, be willing and able to adapt to living and working in Japan. In addition to that, CIR Applicants must have a functional command of English and Japanese language, and either Hindi or Malayalam language, in order to handle international activities being undertaken in local authorities, as I mentioned earlier. Q. What is the application procedure for the 2018 JET Programme? A. Applicants must submit their duly-filled 2018 JET Programme Application Form, JET Programme Applicant Self-Report of Medical Condition(s), two Letters of Reference from two referees in Japanese or English, the certified records/transcripts of their college or university courses, an essay or statement of purpose in Japanese or English, certification of graduation from their college or university, a copy of the passport, etc. Applicants who have teaching or language proficiency qualifications, such as TEFL/TESL/TESOL/JLPT, must submit the copies of these qualifications. The application deadline for submitting all the necessary documents to the Embassy of Japan in India is March 12, 2018. The Embassy of Japan in India will conduct the first screening and shortlist candidates based on the information submitted in the applications. The second stage of screening will be conducted in April 2018, through interviews at the Embassy or Consulate Generals (Chennai, Kolkata, Mumbai, and Bengaluru). The next stage will be conducted by the Joint Conference of International Relations, consisting of the Ministry of Internal Affairs and Communications (MIC), the Ministry of Foreign Affairs (MOFA), the Ministry of Education, Culture, Sports, Science and Technology (MEXT), and the Council of Local Authorities for International Relations (CLAIR), which will decide on the successful candidates. Selected candidates will be notified of their contracting organizations in May 2018. The contracting organization will then directly contact with the selected candidate and inform them about their selection with a notice of appointment, a letter detailing the workplace and working conditions, and other documents introducing the contracting organization. Candidates selected for the Programme shall depart for Japan on August 5, 2018.